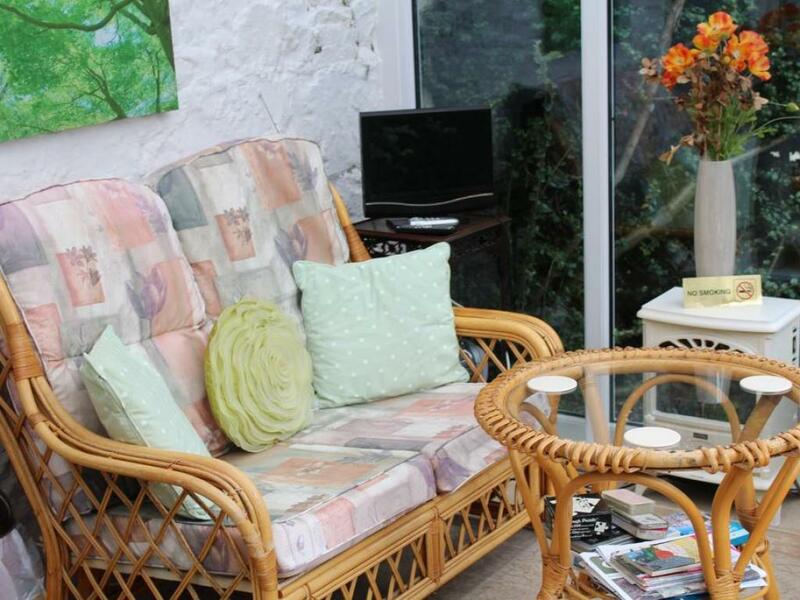 The cobbled Palmers Close, to the side of Baytree House leads to the self-contained and self-catering Garden Studio Apartment, with its private garden and conservatory.The studio is self-catering and unserviced. 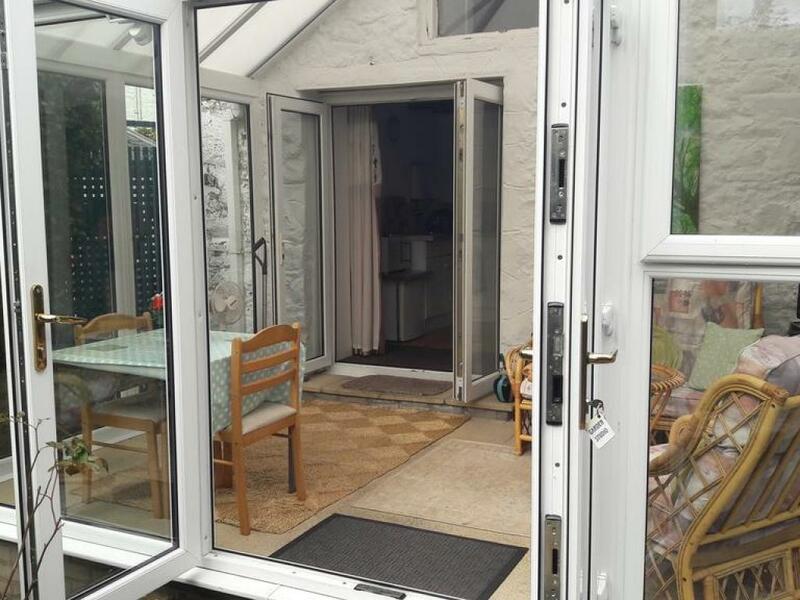 A cosy holiday hide-away, yet close to all of Kirkcudbright's attractions and amenities, providing accommodation for two people. From Palmers Close, the entrance gate leads to the colourful private garden enclosed by attractive fencing. In the garden, a couple of garden chairs are available for sunny days. 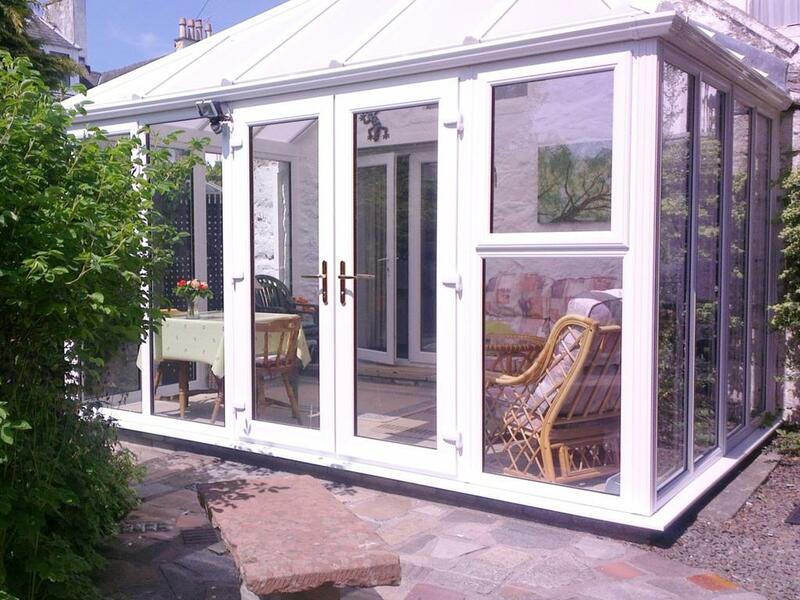 From here you enter the studio via its double doors to the conservatory, which houses a table for two as well as a small TV, a CD player with a selection of CDs, an electric fan and a wicker sofa and chair. 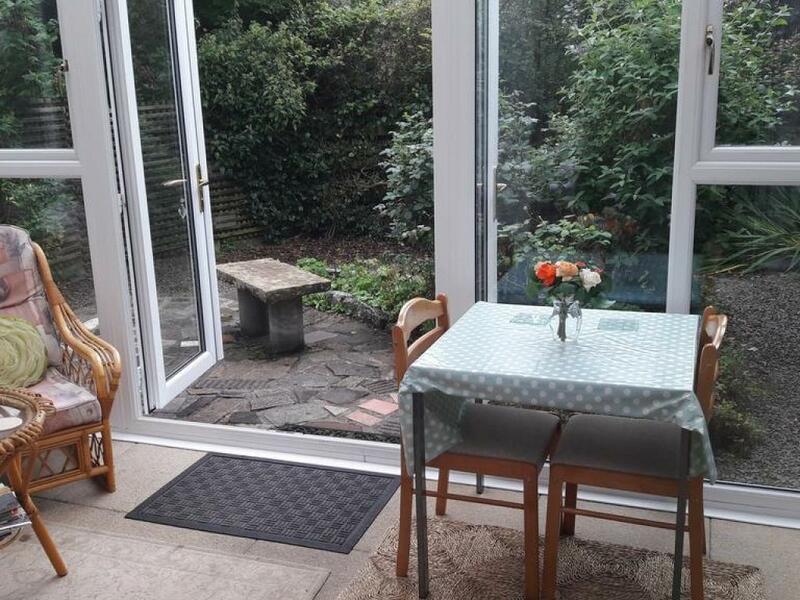 In the garden, a couple of garden chairs and table are available for sunny days. Two further double doors lead to the main Studio Apartment. The Studio has a free wireless internet connection and central heating and a heater is stored for use when needed. 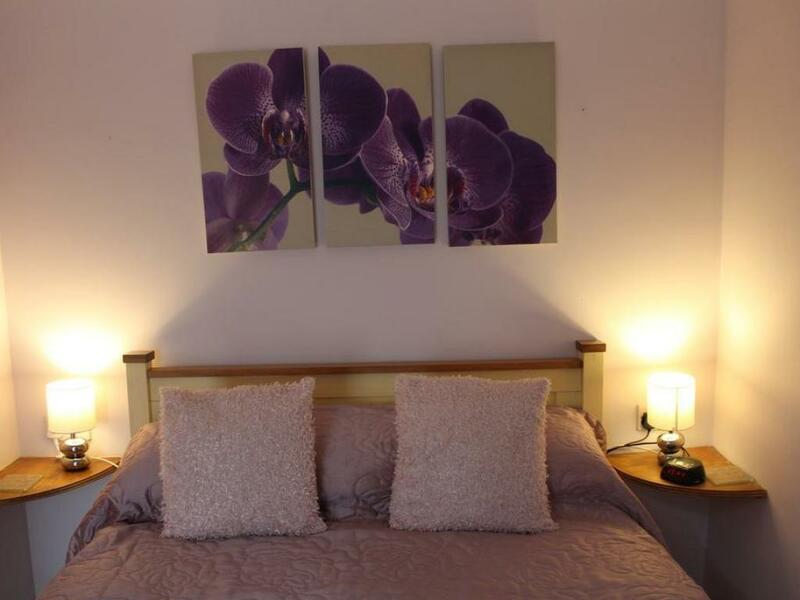 All power is included in the rent, as is all bed-linen, towels, tea towels, and cleaning materials. 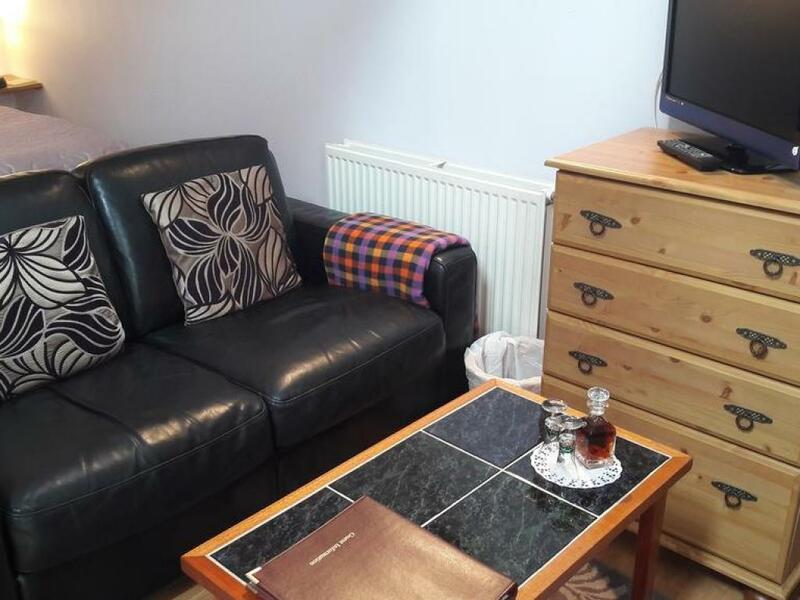 Furnished with a double bed, wardrobe and chest of drawers, and a sofa and coffee table in the lounge area, a flat screen TV/DVD player with a selection of DVDs is provided. 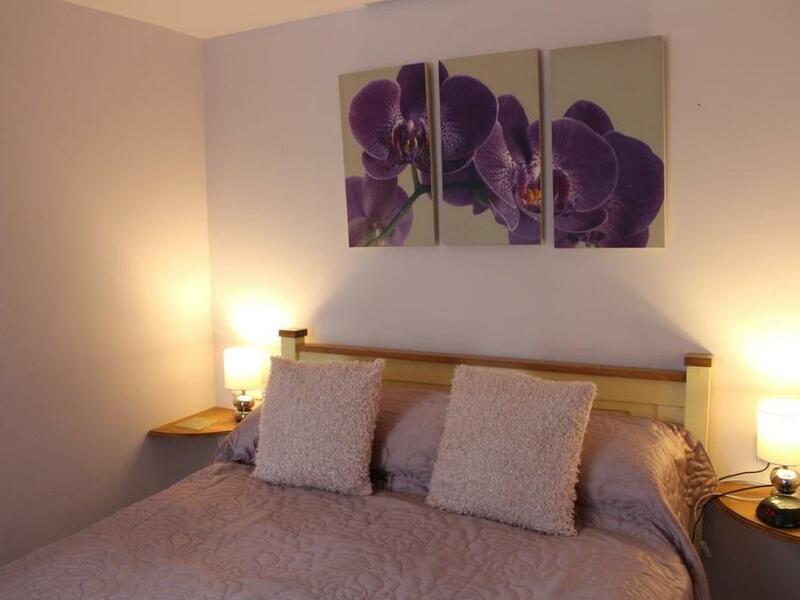 Books, games, a guest folder, visitor information, fresh towels, iron, ironing board, hot water bottle etc. are also provided. 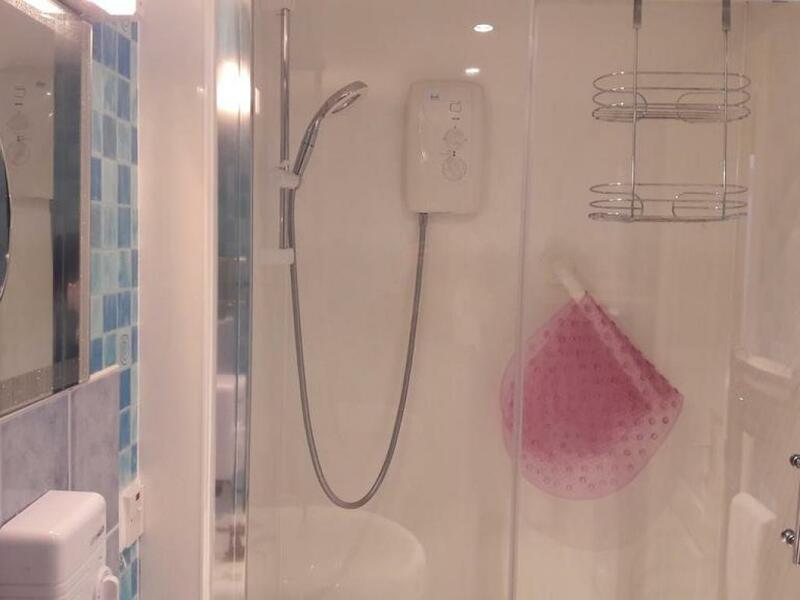 The Studio also houses an ensuite shower room with spacious shower cubicle, washbasin and toilet facilities and a compact kitchenette. 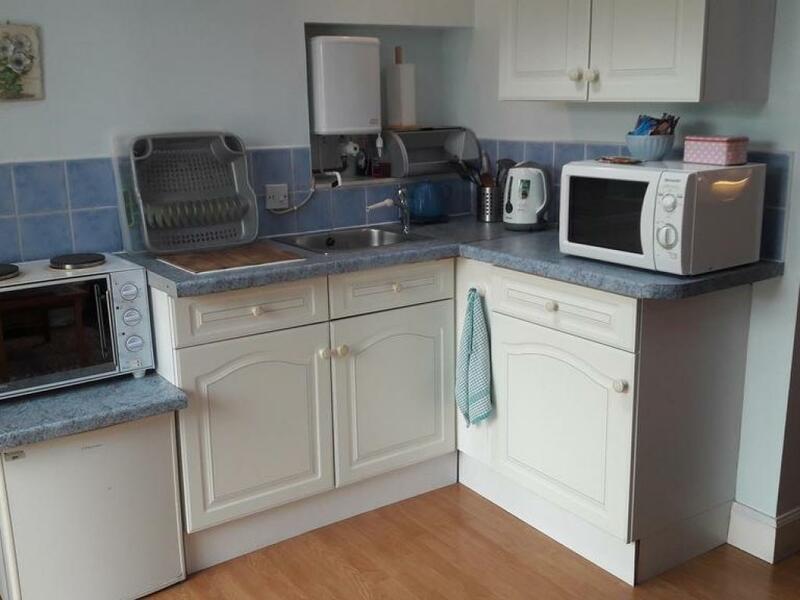 The kitchenette is equipped with a small, two-ringed cooker with oven/grill, a fridge with small freezer compartment, a kettle, microwave and toaster as well as plenty of cupboard space where pots, pans, cutlery, crockery, glasses etc are stored.